Do you see the big ‘S’ in Art, Critique, Judgment, or Opinion? Simply looking at the spellings wouldn’t reveal it, but I will have you know what it stands for: Subjectivity. In fact, one of the many themes director Dan Gilroy chooses to showcase in his bizarre film is the dichotomy that is at the very core of the idea of critique, and how subjective everything is: even the very neural genesis of an idea, leave alone the idea itself, and the theory that would suggest such. Everything, especially something that is as individually experiential as art is open to interpretation, varying opinions and subjective criticism. But who judges those who judge art? Is there a critique of the critic’s critique? These rather grandiose ideas, although impossible in my opinion to be covered reasonably within the purview of any mainstream film, are dabbled with in a satirical, almost comedic fashion in Netflix’s latest release. That, styled as a pretty standard, by the book horror film is what sums up ‘Velvet Buzzsaw’. Here, we dive deep into what that ending meant, the bizarre credits scene with John Malkovich that did bring a smile on my face, and a number of themes that the film tries to merely dip in, avoiding the cost of being preachy at the film’s merit. Getting down to business, the film’s ending is a rather tense interspersion of three suspenseful and marginally horrifying sequences that see three of our main (and final surviving) characters killed off, owing to the “Vetril Dease curse” on the art. 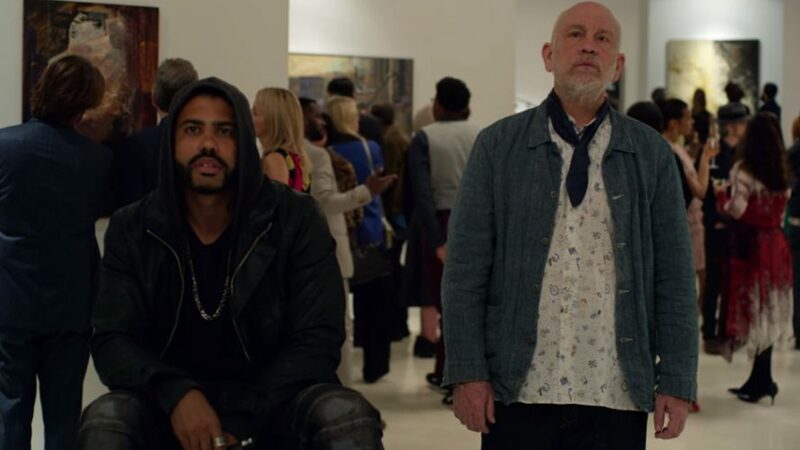 Throughout the film, bizarre occurrences kill off people who stood to benefit, either directly or indirectly, from Dease’s paintings being sold to the outside world, including Bryson, Jon Dondon and Gretchen. The same fate is met by Morf, Josephina and Rhodora as well, something that was evident since the first death, but the fashion in which these three meet their ends is noteworthy, and for the lack of a better word, interesting. Morf is cornered and trapped by Hoboman, a robotic interactive art installation that Morf negatively reviewed, in his storage warehouse where he is locking up all of Dease’s work he owned. Ironically enough, Hoboman kills him by silencing him first, an act of killing the very voice that was his identity, even virtually so as an art critic with a significant following, covering Morf’s mouth as he muffles for breath, and then snaps his neck. 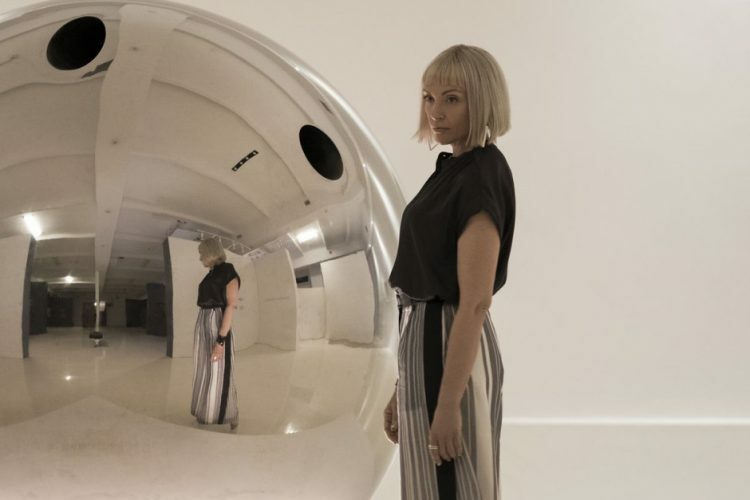 Josephina gets supernaturally trapped inside an art gallery of sorts that is formed rather as a mirage for her to see, the graffiti behind her transforming into the paintings inside her gallery. While there, the colours from the paintings seem to ‘melt’ and climb onto her skin. She is later shown to be inscribed as a part of the graffiti in a state of shock, quite literally consumed by the very art that she had dismissed earlier. “Sad garage space peddling graffiti murals” she remarked, questioning Damrish’s decision to leave Haze Gallery. 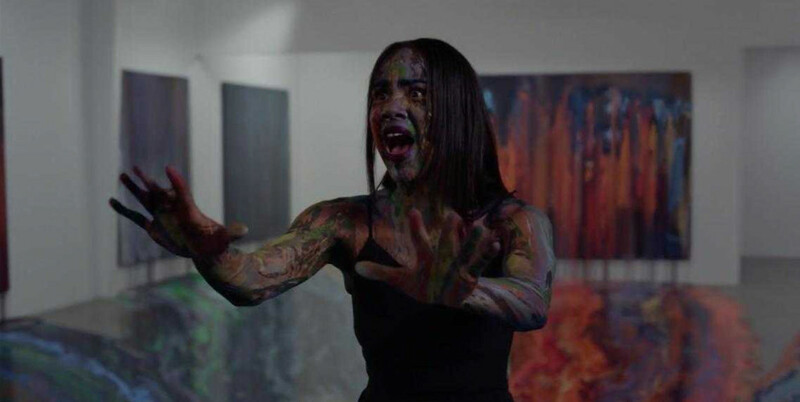 Realising Morf’s suspicion to be true, Rhodora too prepares to have the remainder of Dease’s works destroyed to safeguard herself, but the “curse” catches up to her regardless, and while she is sitting in her frontyard, a velvet buzzsaw tattoo on the back of her neck from her college rock band days animates itself, spewing blood and killing Rhodora too. Interestingly enough, right before she dies, as her cat walks up to her, the composition exactly matches Dease’s painting present in Rhodora’s room. Again, what is to be stressed here is that while the film aspires to much more than being a regular horror slasher flick, this one aspect of the story, the killings and their execution, is something that the film can’t help but bind it to the very status it aspires to rise up from. In fact, the commentary and the satire are the only things separating this film thematically from say, ‘The Evil Dead’. What I have repeatedly mentioned as “the curse” might be the art, Dease’s spirit, or any malevolent entity that Dease may have assumed and manifested in his afterlife as a way of getting back at the people benefitting from his art. It’s all a big grey area, but the assumptions run along on similar lines. Following the deaths and the obvious relations therein, Coco attempts to leave the city for good, and while enroute the airport, she spots a homeless man selling off Dease’s abandoned work as street art. A nearby couple, highly appreciative of the work, pays $5 for one of the paintings and immediately buys it, no questions asked. There is no saying whether the killings continue in the hands of their new owners, or if they stop, owing to the art reaching genuinely appreciative audience as intended, free from its commercial trappings and none standing to ridiculously benefit from the sale. 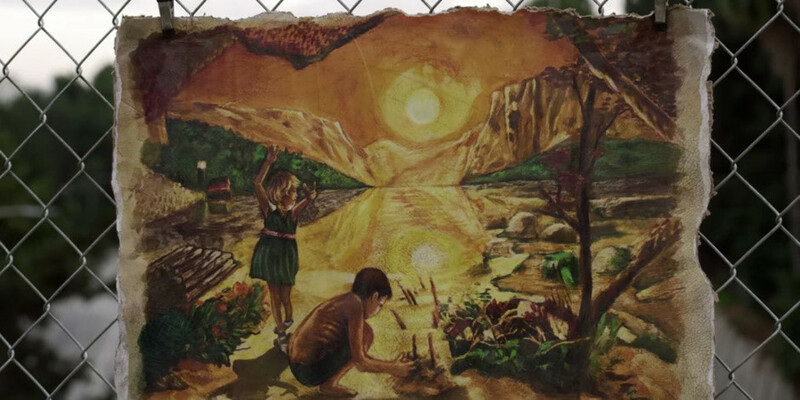 The film closes, panning on another one of Dease’s works up for sale by the streetside: a girl dancing by the shore as a vibrant sun sets and a boy tries to build a fire, perhaps reminiscent of Dease’s own childhood. Without a doubt, my favourite sequence from the entire film. I have adored John Malkovich as an actor and the quite simplicity and almost childish demeanour he brings to the screen, hard to not develop an affliction for. 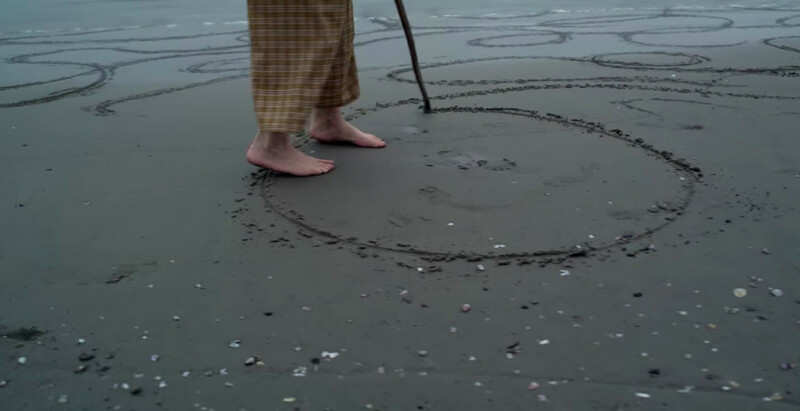 We see the socially bound artist, Piers, played by him, as the screen fades to black following the ending and the credits start rolling, who has now moved away to Rhodora’s beach house for creative recuperation on her advice drawing lines in the sand with a stick, playfully continuing to create random circular patterns on the beach even as the waves almost immediately wash over them. At more than one point, he even withdraws, looks at what he had created, and continues. He does so, not standing at a spot and allowing his hand to do the drawing. Rather, he moves along with the stick, traversing the seemingly random patterns he seems to be drawing, which is what made the scene all the more affable for me, certainly being added on to by the playful background score. As the entire film, its credits scene is also open to interpretation. Here is my take on it. You must have heard or read the now famous Chuck Palahniuk quote that goes by as such: “The goal isn’t to live forever, the goal is to create something that will.” I can almost guarantee that this is a perennial dilemma any artist faces and struggles with throughout their years of creation. That, coupled with the pressures of staying relevant in an increasingly self-aware world, and the blatantly commercial nature of Art in the current time and tide that the film openly attacks, are artistic evils that hamper creative flow, but at the same time are necessary as well. At one point, Josephina even remarks as to what would be the point of art if nobody saw it? Ofcourse, that should drive us into a gaping rabbithole of questions on whether art should, as such be outwardly reflective or personally gratifying for the artist himself. However, we choose to steer clear for them and focus on the film instead. From the very beginning, Piers is shown as an artist who seems to be caught up in the snobbish upmarket LA art scene partaking for the global exposure his art was getting. He is shown as somebody immensely withdrawn, yet immediately dismissive of agents or representatives who wished to make money selling his art, a creative liberal if you may. His art is shown to have suffered a setback owing to that, and his discontinued alcoholism too is associated with the creative block he seems to have hit. In that, acting on Rhodora’s advice, taking a break and moving away from it all, he creates as and when and what he wants to, free of any of the shackles that held him back. He draws and draws to his heart’s contentment, and while that may not be something that is even comprehensible, almost immediately washed away by oncoming waves, he seems simply taken by the pleasure and freedom of creation he sorely missed. He may not be creating something that would stay, but sans that pressure, he looks content creating just because he wanted to. This is art unbound, and while you may scoff at the apparent senselessness of what he created, in an age of increasing subjectivity over modern art itself, for him it might be his masterpiece. The blatant and unabashed commercialization of art is something that is very characteristic of the times we live in, and the film leaves barely any chance of being reflective of that, mostly through the actions of its characters. We have come a long way from Art being a mere source of entertainment for high borns, to a source for personal enlightenment, to a means for expression of thoughts and ideas, to a privilege and status symbol and so on. It won’t be wrong to state that art, today, is serious business. Artists need managers to manage what galleries, museums or shows their art reaches, and buyers need advisers to advise them what kind of art to invest in, to be later leased to museums for shows as a revenue generator again. These transactions happen in the millions while the general public remains more or less oblivious. In the process, artists lament over the obstructions and restrains in creative flow in an increasingly competitive space, while the audience laments over the limited accessibility of art as a medium being restricted to only the upper classes, courtesy of the price tag. Even in the film, all the characters we are introduced to wish to partake, either directly by selling them off, or indirectly through backdoor deals, a book on his life, expose’s etc, in the dead painter’s hauntingly beautiful art discovered by Josephina, who herself wishes to develop her agency initially when she discovers those paintings for the first time. Their greed drives them to great, ethically unbound extents, testing their sanity, claiming their lives in the end. Contrarily, the only other main character who didn’t house a vested interest in Dease’s works, Piers, is unharmed following the onslaught. Being personally associated with a similar circuit, I can affirmatively exclaim that the film leaves no chance to openly mock the phoney nature of a certain bourgeois, self-important class in every society that feigns an interest in the arthouse circuit, while more often than not having little to do with ‘Art’ in its truest sense. It’s all there: the contemplative hand movements, the intense looks while delving into a piece of art, the sartorial sense, the persona, an acquired chic taste in décor, commentary on virtually everything they may come across and even the ringtones of their phones. Each of these aspects is remarkably and observantly well designed for the film and ably embodied by the actors themselves, who own this side of their characters, right up till the slightest mannerisms. Such is the sycophancy that Morf doesn’t refrain from commenting on the organ music or the wood and make of Don’s casket at his funeral, displaying surface level empathy at best. While the indubitably hypocrisy was brought out well by the conversations, their discussions on art reignited in my mind, an almost unanswerable centuries old series of questions. Is some Art less than what it is made out to be? Is the discussion on art merely limited to the upper classes who seem to be the ones perpetuating the idea in the first place? What is to be construed as Art in the first place and what is the distinction? While the film doesn’t provide any clear answers and I don’t think it intended to either, a particularly well written scene in the film is what fueled these questions into an unquenched curiosity. Remember how Gretchen in the film is gruesomely killed after bleeding out from her decapitated arm from the Sphere installation? For several hours, the onlookers in the exhibition thought it was an art installation! 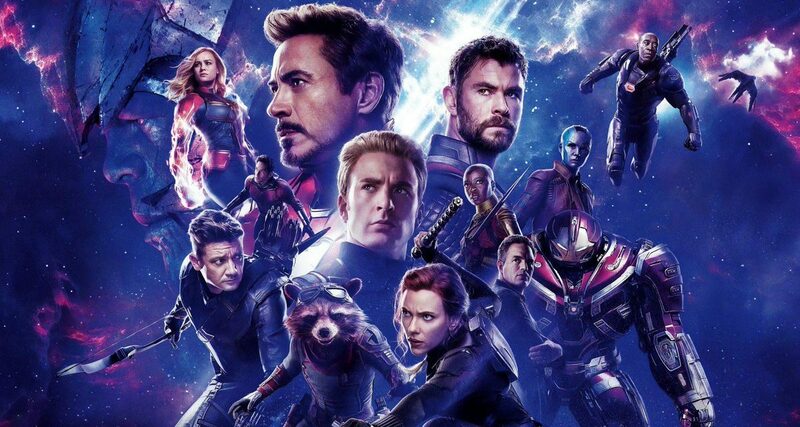 While this may not be in the purview of the film directly, and considering all art is anyway subject to personal opinion, I couldn’t help but digress to the current day where social media has managed to hype up any and all potentially strong matter, often declaring an absolute resolution in the process, to be widely accepted. The current predicament of things being overrated or underrated in opposition of the accepted norm was but naturally an obviously entropical response. While there is no dearth of opinions, here is one that addressed the here and now of the bourgeois classes in any community. A learned Architect once stated that the problem with the community (including the artistic one) was that we kept talking too long while people stopped listening long ago, and I couldn’t help but lament that a similar picture was presented here. If you happen to ask anybody who has even remotely been connected to art, almost all of them would unanimously agree that valid and constructive criticism is an important part of the process. However, there exists virtually no way other than maybe, say individual discretion or individual opinion that can validate the merits of said criticism. This head is perhaps of the most significance for our community of writers across the web, strengthened by the oncoming of the internet. Everybody has the right to and is reasonably able to form an opinion over something they observe or witness. The power of media gives certain voices more weightage and heed than others, and as a result, people/the audiences comply. Morf Vandewalt is one such character in the film, who despite being knowledgeable about art but not an artist himself, has quite a significant following in the community to an extent that a single review by him could make or break the commercial fate of a piece of art. Despite that power vested in him, he chooses to exercise it wrongly on more occasions than one. This is superbly represented in the one scene where Morf (Gyllenhaal) finds himself in a soundproof enclosure for an acoustic installation up for review, and all the negative or harsh reviews he had written echo back to visibly torment him. Highlighting the responsibility such roles entail, questions along similar lines have been asked before in a number of literary and cinematic renditions. Who watches the watchmen? Who guards the guards? Who criticises critics? While these are perplexing age old questions, the film, again, does not attempt to provide any definite answers. However, I am glad this dimension of criticism was highlighted in the film. 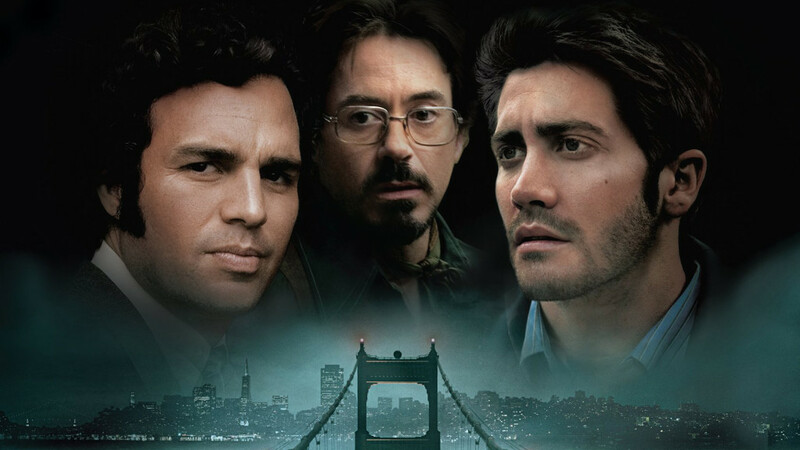 By now, I have come across at least ten forums that question the need for this film, or stating its ‘pointless’ nature. I can agree that the bizarre nature of the story (not the filming) may have put some viewers off, but I can state at least ten other films that diss the above claims. 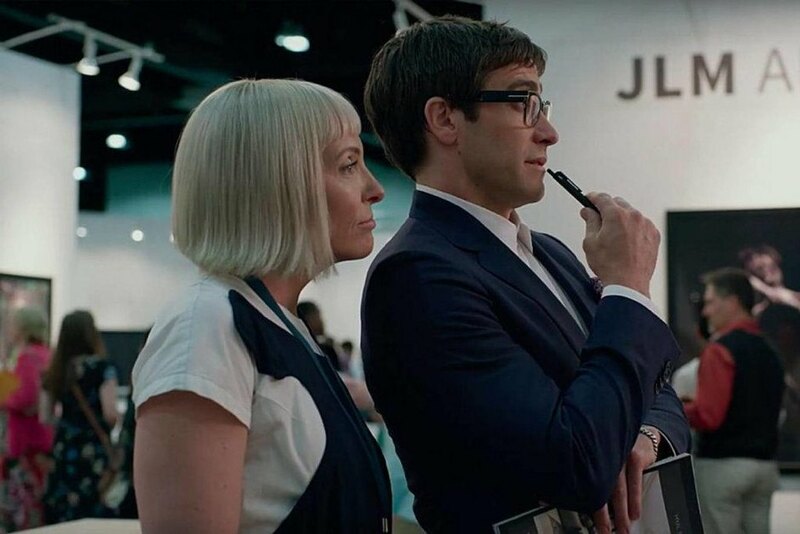 For what it is, ‘Velvet Buzzsaw’ proved immensely enjoyable fare for me. I scoffed, reflected, critiqued, felt bemused and ultimately, entertained. The only thing I didn’t feel was genuine, lasting terror, which might be one of the film’s laments being styled as a horror film, but as stated above, it is far from being only a horror film. The idea here is that the film itself be presented as any work of art is: open to perception, individual opinion, and interpretation, and it is fairly obvious the director was aiming for that. Horror here is merely a presentation tool, and while that choice in itself is questionable as any other idea or the film itself, it’s presented in a manner that is tastefully done, enough to keep you invested in its shy of two hours of bizarre happenings and subtle commentary. Don’t give it a second thought before catching it on Netflix.